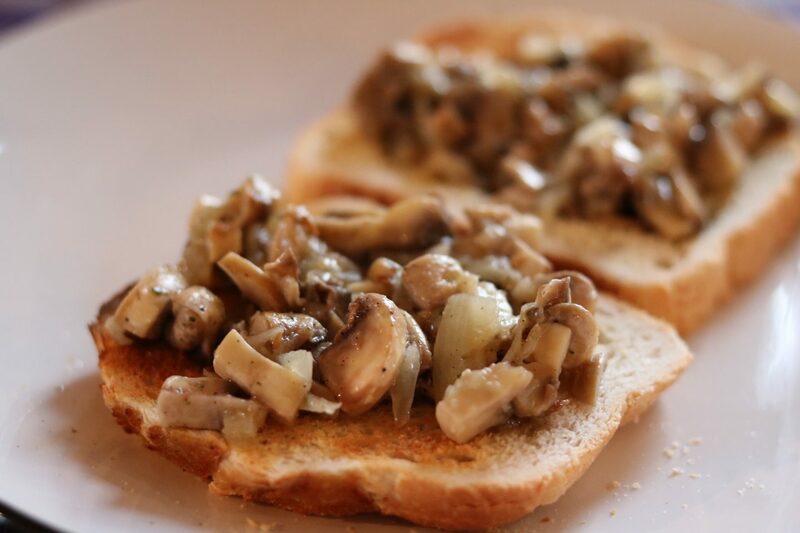 Mushrooms sautéed in Garlic on toast and some tips on relaxing and taking some time off. Sometimes simple and quick is much needed when things are really busy, or you are really tired. This is a dish that is very very basic and simple, very quick and very tasty. Perfect for lunch or dinner this really does hit the spot. In a saucepan, heat the butter and add the onions, peppercorns and garlic. Let this cook on low-medium heat until the butter has melted and add the mushrooms, salt and pepper. Cook this, stirring regularly for around 4 minutes and meanwhile, place your bread in the toaster. Once toasts ready, simply layer each one with the mushroom mixture. This is my go to dish for when I am exhausted, hungry and just want to relax. As a blogger, it can get really busy with events and reviews in the evenings, or other evenings spent writing about the events or reviews. It can easily get overwhelming as your to do list grows and grows and it is very important to take some time out for yourself. I have personally self imposed a one night a week blogging break which means no events/reviews or typing up events/reviews that 1 night. Taking an evening off for yourself, or a day, even if you are not a blogger and are just really busy, in a rut, stressed out with days brimming full of what feels like never ending things to do, is really good for you. This can help unwind, de-stress (don’t look at your to do list), and rejuvenate and re-energise. Read that book you have been meaning to but just can’t get the time to. Catch up on or start a new box set. Go for a walk in the park (if it is summer). Have a home spa evening with a face mask. Catch up with friends or family. Cook something you want to eat. What are your favourite ways to relax and unwind? Let me know in the comments below. Previous Post A Foodie adventure in Borough Market with my Nestle Nescafe Azera Coffee To Go in hand!